Negombo has more than golden beaches; it is blessed with so much to see and do, you will probably want to stay here for as long as you can. When you have had your fill of the long stretches of golden beaches, it's time to take to the streets. Meet the locals at the fish market, visit the places of historic importance, see locals at work or indulge in some adventure activities. Negombo here we come! 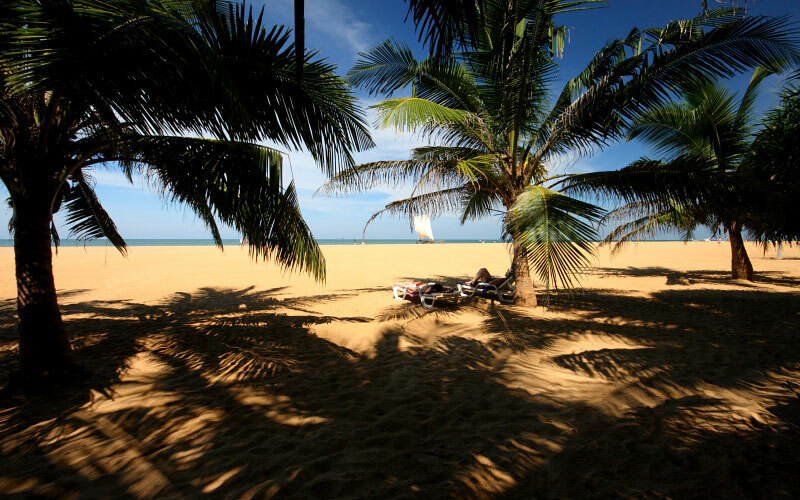 The wide, golden beaches, turquoise ocean waves, swaying coconut palms and colourful fishing boats has made Negombo a popular location and one of the major tourist destinations in Sri Lanka. Boasting of some of the finest unspoilt beaches, it provides plenty of opportunity for sea bathing, diving and adventure sports. Play a game of beach volleyball or just relax under the sunshades listening to the endless music of the ocean. Let the blue of the ocean blending gracefully with the golden sands and the setting sun which slowly fades away be an inspiration to the body and soul. 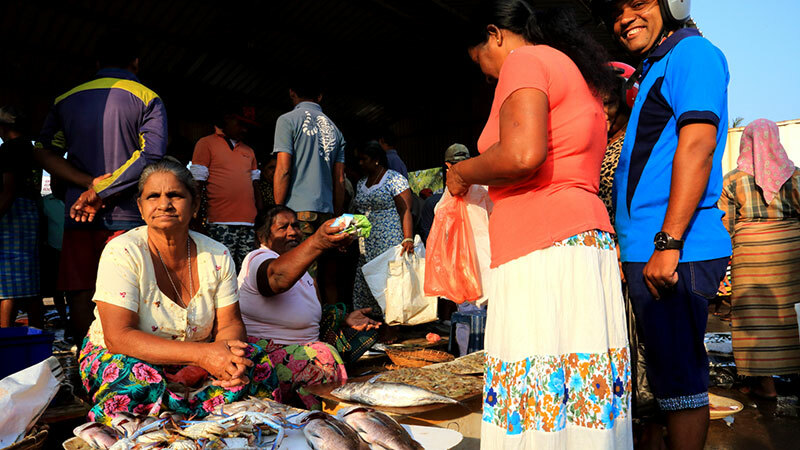 Visit the second largest fish market in the country, locally called the 'Lellama'. The busy Negombo fish market is worth a visit if you want to see a myriad varieties of fresh seafood ; fish, crabs, lobsters, squid and prawns being brought in from the nearby boats. See how the fish is cut and cleaned, listen to the price negotiation between buyers and sellers and buy some to take back to the hotel, to be prepared for dinner. 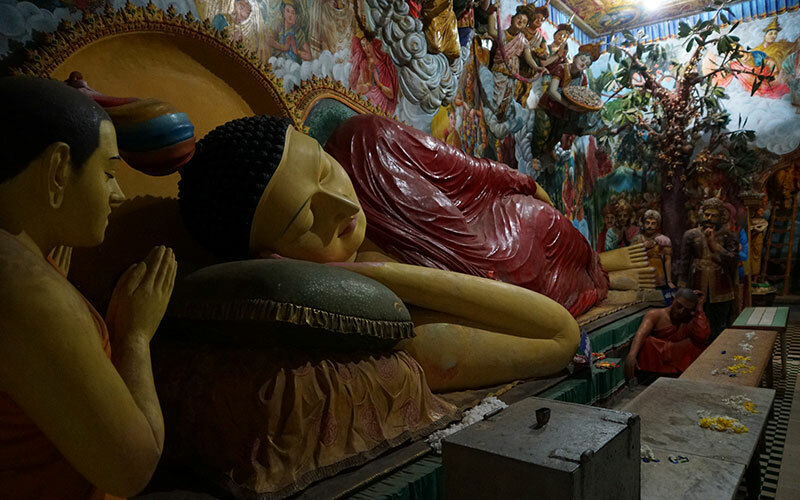 Visit the many historical Buddhist temples around Negombo. The most popular of the Buddhist temples is the Bodhirajarama Maha Viharaya (Angurukaramulla Temple with its beautiful shrine room decorated with paintings and sculptures that depict the life of the Buddha and inspiring Jathaka stories. The room that holds the statues called the 'Pilima Ge' contains gigantic statues of all the ancient Kings of Sri Lanka. Observe Buddhist monks dressed in saffron robes, devoted worshippers dressed in white and others meditating under the shade of the Bo tree. Enjoy the peace and tranquility! 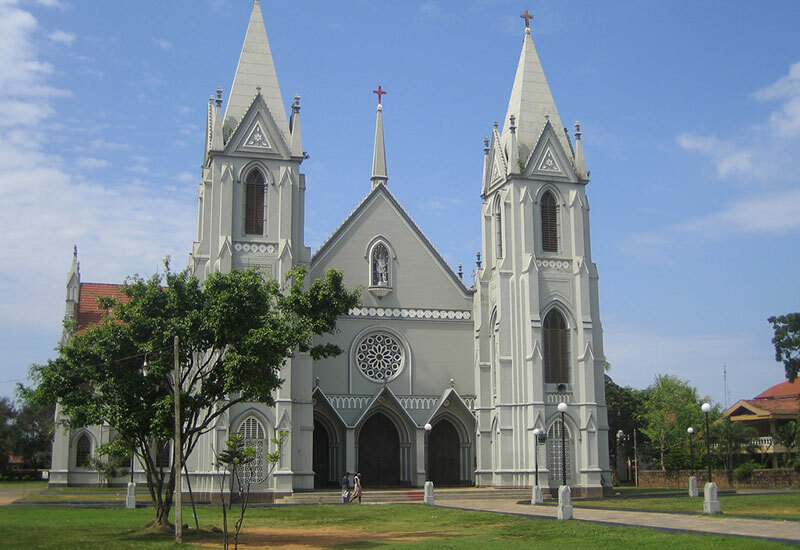 Negombo is home to a large Catholic community that has its roots in colonial times. Being sometimes called 'Little Rome', Negombo is the hub for Catholic culture and boasts of nearly 50 churches and shrines, the more popular ones being St Mary's Church with its attractive paintings, St. Sebastian's Church, the architecture of which is inspired by Rheims Cathedral in France, and St. Stephen's Church, located by the picturesque lagoon. And these are just a few of them. There are many church activities such as the colourful processions taking place during the year and if you are lucky you too can take part. Visit a traditional factory that produces environmentally friendly clay tiles. Clay tiles have been used for hundreds of years in Sri Lanka and are much in demand for their naturally cooling and healthy attributes in addition to their aesthetic appeal. 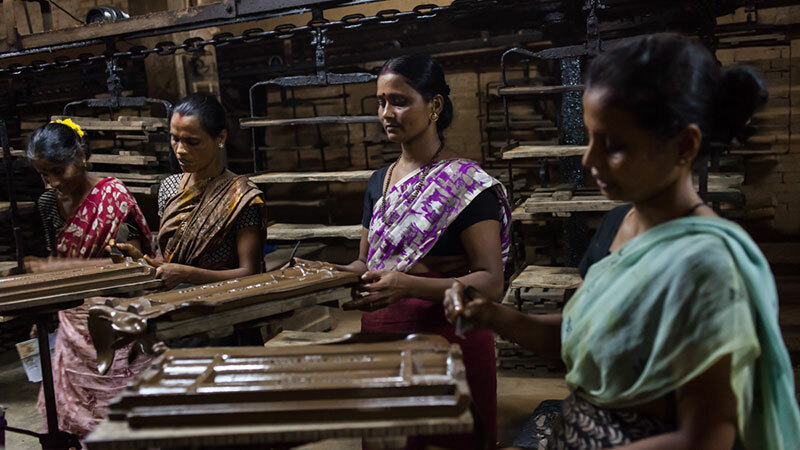 Watch men and women skillfully turning out roof tiles using local machinery and firewood kilns. Learn and experience this 'piece of architectural heritage', transforming a lump of clay into a fully fledged roof tile. The Munneswaram Temple is an important Hindu temple complex in Sri Lanka consisting of five temples with one being a Buddhist temple. 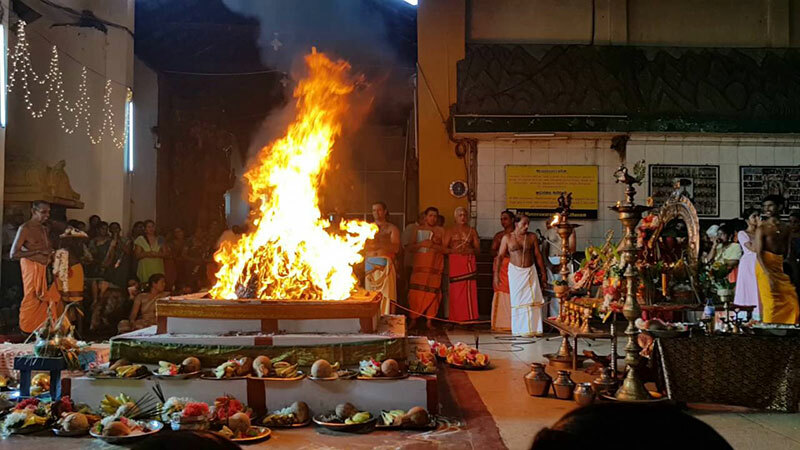 There are many myths surrounding the temple, one being associated with the popular Indian epic the Ramayana and the hero-king Rama. The temple with its overwhelming architecture is well known for its celebrations of Navaratri and Sivaratri, which lasts for nine days and attracts hundreds of devotees each year. Take an interesting guided boat trip down the 14.5 km(9 miles) long historic Dutch canal. This canal was once used as a supply route by the Dutch administration ruling the country and is today a major tourist attraction and an interesting sightseeing expedition. Comfortable private boats equipped with safety gear and knowledgeable personnel will take you through traditional fishing villages that go past old churches and other historical buildings right down to the Muthurajawala marshes; an interesting wetland that is home to a unique coastal ecosystem. 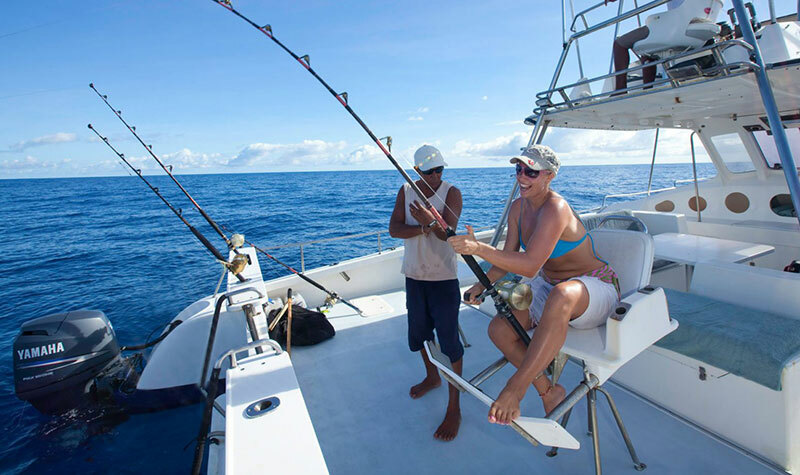 Set out to sea for a truly fulfilling deep sea fishing experience. The Negombo Sea, identified as an excellent fishing zone, is well known for Grouper, Snapper, Mackerel, Tuna and many other varieties of fish, making it the ideal place to indulge in some rewarding fishing. Pre-arranged trips in fishing boats modified for game fishing, equipped with safety gear and fishing gear (optional) is available. Manned by experienced professionals they will ensure you enjoy every moment while instructing on how to lure the big catch. A great way to explore and experience the region at grass roots level. Get closer to the rural villages; explore the paddy fields, cultural sites, the fish market, and interact with the rural folk. You will most certainly want to visit a rural home, and enjoy a cup of tea and homemade sweetmeats. Pedal to your heart's content at your own pace... explore, enjoy! Take a boat safari with a difference. 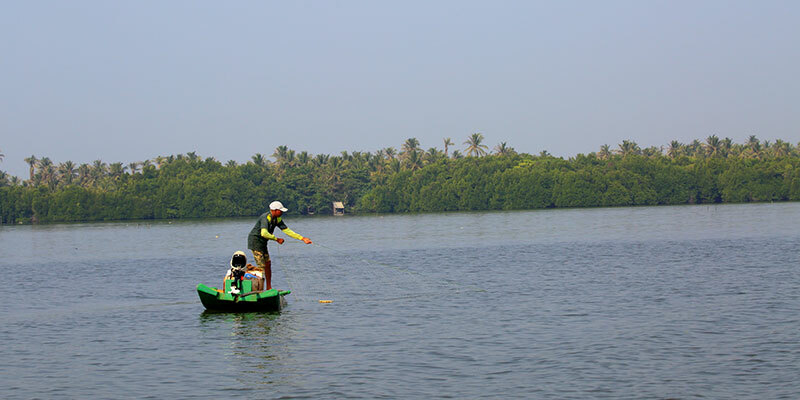 Paddle through the Negombo estuarine lagoon with its extensive mangrove swamps. The unique ecosystem of the mangroves is known to be home to hundreds of species of flora, fish, birds, reptiles and mammals. 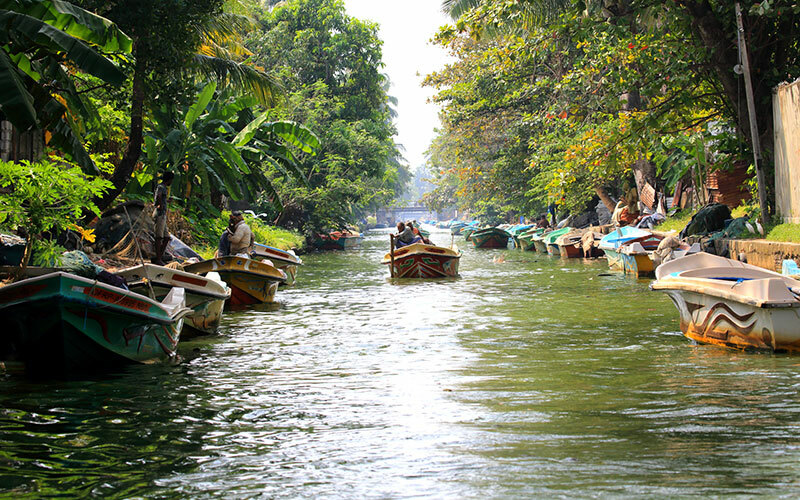 A boat ride is a golden opportunity to observe these birds and animals in their natural habitats. This trip most often takes about 2 hours covering approximately 14 km. 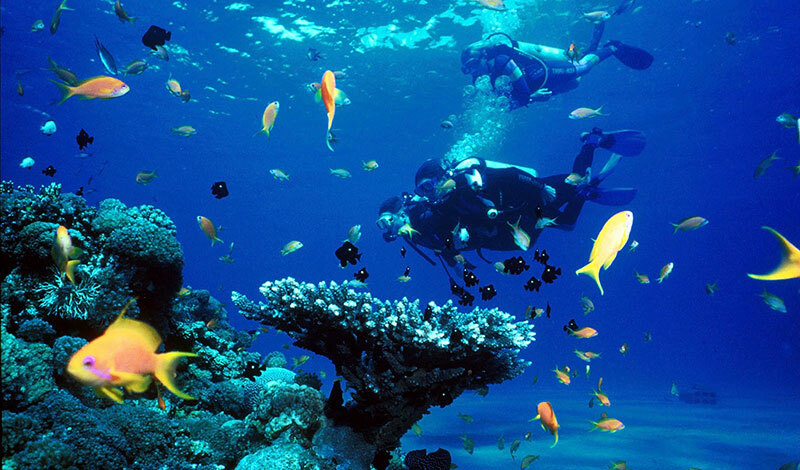 Negombo is a diver's dream come true. Surrounded by the Indian Ocean, you can pick from two options; the closer dive locations situated just 6 to 8 km from the shore and the deeper ocean dives, the more intriguing and advanced diving sites situated approximately 20 – 25 km from the shore. Explore the unspoiled reefs and coral beds; see shoals of reef fish, sting rays and many underwater wonders. It's a golden opportunity for some splendid underwater photography too. Diving in Negombo is indeed a pleasure! 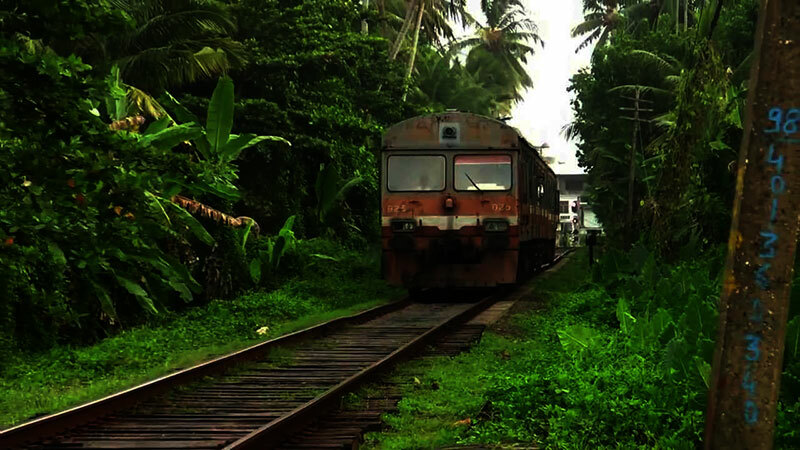 Take a train ride from Negombo, which is the 24th station on the Puttalam rail line from Colombo Fort. Catch a window seat if you can and experience the rural countryside; lush green rice paddy fields, coconut plantations, busy towns and quaint villages. Talk to the friendly Sri Lankans on board the train, munch on some salted peanuts or bite into succulent pineapple sold by the mobile vendors outside your train window. 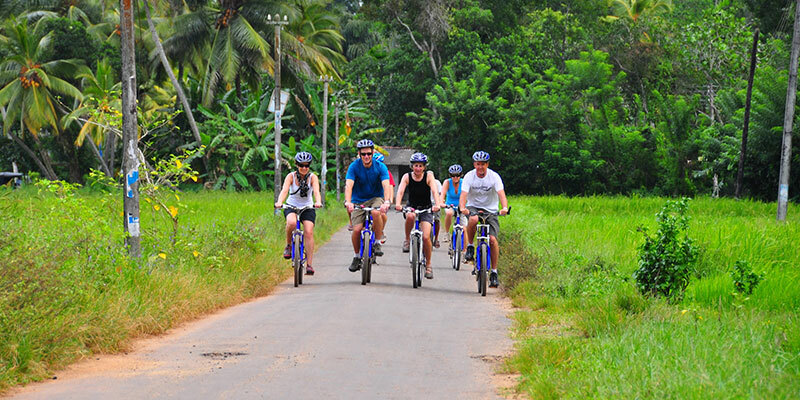 Share, talk smile…enjoy a true Sri Lankan train ride!